"The scholars path is lonely"
Biography: The Son of Erion and Balthier, Morgoth is the fallen prince from a lost empire of the Underdark. As a child he worshiped his father as a lesser god. Morgoth and Maverick are twins and were singularly talented in sword play. They trained under the their father and Warlord Alashand. The boys practice day in and day out until, Morgoth challenged his father to run the household because his mother had fallen very ill and Balthier preferred to avoid the issue. Morgoth's challenge ended in failure and the disowning of him and Maverick as heirs. Their mother died shortly thereafter. Morgoth joined the military to pay for Maverick's schooling. They went to war with another tribe and the result being a rift in the social order between royalty and any of middle or upper rank. The hierarchy was collapsing, almost forcing Balthier to impose the military on his own to prevent an uprising. In the turmoil Morgoth became captain of the royal guards as a result of his valiant prowess in the Rift-war. Finding himself guarding the man that he hated with every fiber of his being he challenged his father for leadership. A tournament was held to decide the new leader of the clan. The rage that had burned within since the death of their mother and fueled by his brother's blindness incurred by participating in the tournament drove him onward as he relentlessly decimated every foe. He forced his foes to taste the bite of Shadow Serpent, his rapier of choice, as he anticipated the moment his father would meet his thirst for vengeance. Reaching the final round his father stood wielding a simple hand and a half sword emblazoned with the family seal. The fight seemed to last for days, the father and son had been evened by the arduous war. Their scarred bodies move so smoothly through stance after stance, strike, parry, dodge, sheild, strike, parry. The fight went on and on, Morgoth attempted his favorite new trick, using the shadows of the arena wall to hide his tell from his father. He faked a battle roll to the left coming up under his father's guard, then struck him in the neck again and again. Blood stained his armor and face as he picked up his father's sword, and buried it hilt deep into his father's heart. He picked up his father's severed head and limped out of the stadium without turning back.' He walked for days before passing out on the road. He woke up on a farm where he met Alashand's wife Myrie. They had taken him in when they found him on the ground striped of his armor. The only thing he had left was Shadow Serpent. He'd been clutching the sword when the found him his hands were cut up pretty bad from clutching the blade. Myrie had cleaned him up the best she could. He spent six years working the farm like the son Alashand had always wanted. The farm got news that Maverick had fallen in a revolt; apparently he'd been leading the country while Morgoth had been dreaming the years away. Fae, Alashand's daughter, talked him into going back to Lore, the kingdom they'd forsaken to wars long ago, where the rebels were rumored to be holding Raine. He wonders if he should break his word and return to his home seeking Raine, Maverick's wife, to help her through the hell he himself was going through right that moment. Special:[Weak] Spinning blade: A six year old, Morgoth sat in awe of his father a man who embodied everything he'd been taught to believe in. A soldier who would die for his comrades and his people. Called one day to train with his father, he came to stand on the other side of the room bowing and handing his blade for inspection before the match. Once satisfied his weapon was returned his father bowing to his son as a sign of respect. The boy eagerly rushed, not pleased with the way his son played at training; he struck a swift rending blow to the boys back. For nearly two years this child couldn't even walk, but the man that boy became couldn't walk into a room without hatred burning in his eyes. The child now nearly nineteen has joined the army demanding a private training session with his, "Father". He had decided that the years of being an outcast were enough reason to server his family ties quite literally; severing his fathers head using the move he'd so lovingly decided to nearly cripple his only know heir. 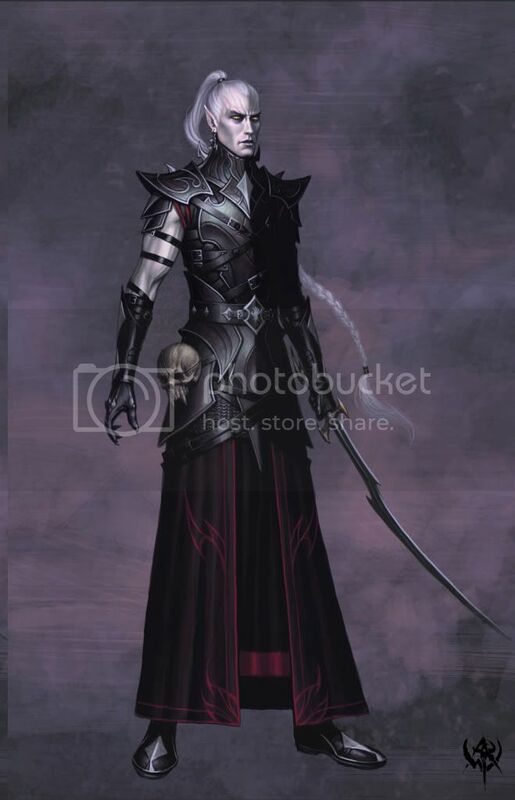 Special:[Weak] Bleeding night: Morgoth has taught himself to pick up subtle body movements through his intense battle training; using this knowledge, he brings his blade to meet the enemy's during their attack repelling their weapon. Attempting to use their own strength against them and knock them off balance. 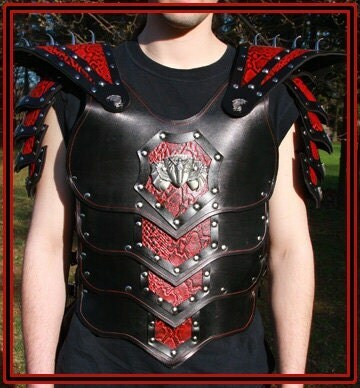 Special: [Flourish, Medium] Art of combat : Morgoth has trained in the intricacies of sword play for years earning many markers of battle least which the scar left by his father. The young soldier has developed a series of movements ideal for his light build and flexible reach. He has a link with his weapon that few have rivaled. Skill:[Weak] Will of the warrior. Morgoth's two and a half years in the Rift-war taught him to sleep with his weapon at the ready. His grip is unmatched making it difficult to separate him from his weapon. Skill [Medium] Vanguard Mentality: In the Underdark tournament he pick a keen interest in the reaction of people as they react to attacks. He uses what he'd learning watching the other combatants to test this new knowledge by parrying a blow attempting to send his opponent weapon for a return trip. [He has acquired a decent knowledge of how to turn his opponent's blade back against them. Incorporeal Weakness: Drow's are weak to attacks of an incorporeal nature. Things that do not have a definite form, like psionics, wizardry, or ki, damage them more. --Flash Burn: Ultimately living in the Underdark, while making them tougher, has prevented Drows from getting along with Sunlight. They have a slight difficulty seeing during a sunny day. --Absolute Dark Vision: Having lived in the Underdark, Drows have gained the ability to see through complete darkness. Last edited by Azazel on Wed Jul 11, 2012 11:34 pm, edited 5 times in total. My Completed TB with NTW. One Stormy Night Battle Me, Lss and BD- Completed, no prizes awarded? Shadow: The long night on the farm had been spent in the forge making one thing or another Morgoth and Alashand have made and remade this sword many times. A titanium katana built to be lighter and sharper than your average katana. Last edited by Azazel on Thu Feb 09, 2012 12:52 pm, edited 1 time in total. I owe the bank 8 now . I'll be using the boxing month reduction. For a speed jewel. total cost 9 but require me a debt of -14 -_- This better be worth it. But my drow needs the speed boost. A jewel has been loving embedded in my breast plate as there is no where else I could think of to embed it.